Here's a cute pair of shorts my daughter Gabby finished off at the end of term in her sewing classes with Bernadette Doherty. 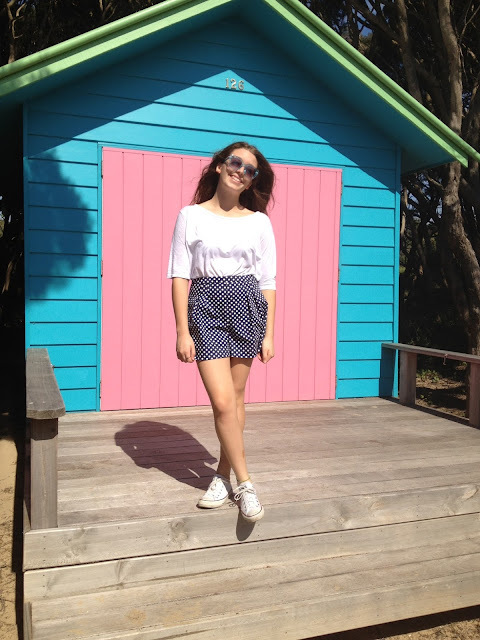 We had the perfect weather on Good Friday, so these shorts made their debut, down at the lovely Mornington Peninsula! 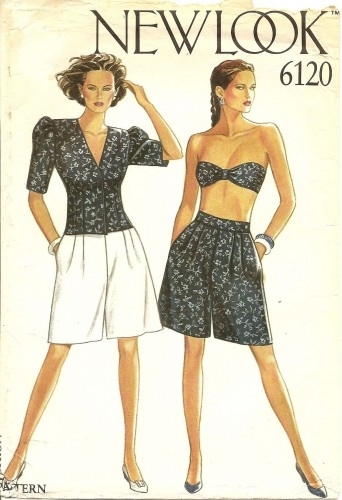 Gabby has always wanted a flared retro-style short so she chose our soft brushed cotton/elastane Lappi Spot in Indigo Blue and this old New Look 6120 (circa 80's), I had in my pattern stash. The pattern was perfect for this style and ideal for a novice sewer. Of course, her sewing teacher insisted Gabby make up a calico first and some minor pattern adjustments were made, such as extra fullness taken out, shortening of the pattern and the side pockets left out. This pattern will now be the base of many shorts to come. A great result, especially as her interest in sewing is gradually growing, to her delight and mine!